KeyForge is coming this weekend. There’s still more to preview, though. And with every deck that’s going to be on store shelves being unique, it’s good to have an idea of what might be out there. In this preview, we get a look at House Untamed. They have a card called Ancient Bear. I kinda want one. 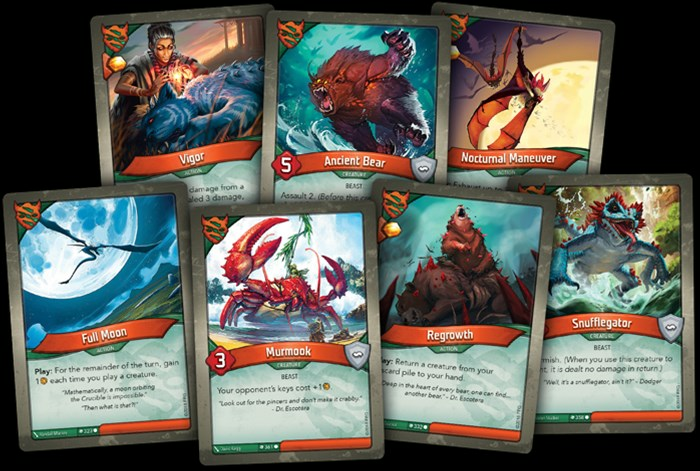 In KeyForge, you become a powerful Archon, leading a team of creatures from the Houses that reside on the Crucible. Together with your team, you must race to gather Æmber and forge keys to unlock the planet’s hidden Vaults. Only one can access the power held within—it must be you! Each House of the Crucible is unique, but none is more diverse than the fierce and vibrant House Untamed. This loosely organized faction features peoples of countless species, along with all the beasts and wildlife that call the Crucible home. But what unifies this varied House? Today, we’re pleased to offer a closer look at the boisterous House Untamed in KeyForge: Call of the Archons—now available for pre-order at your local retailer or online through our website!